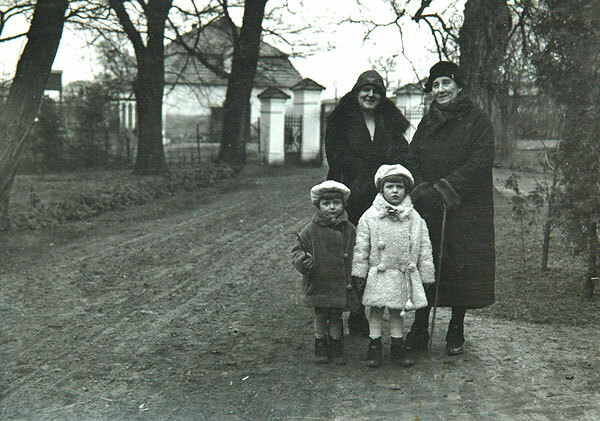 During the Second World War, between 1939–1945, Polish landowners who had their estates in the General Government found themselves in the best situation. Those Polish landowners whose estates were in the Western territories of the Second Republic of Poland were treated in a violent manner—the most active ones were arrested and murdered in executions or placed in concentration camps. The remaining landowners were forcibly deported to the General Government. The GG became inhabited by landowners from the Poznań Province and from Pomerania (Pomorze) as well as by refugees from the Eastern Borderlands (Kresy Wschodnie) under Soviet occupation. In the General Government, the elimination of the landowner social stratum, as a group which could play the leading role in national resistance, was postponed by the occupier until the end of the war for economic reasons. Fig. 1. 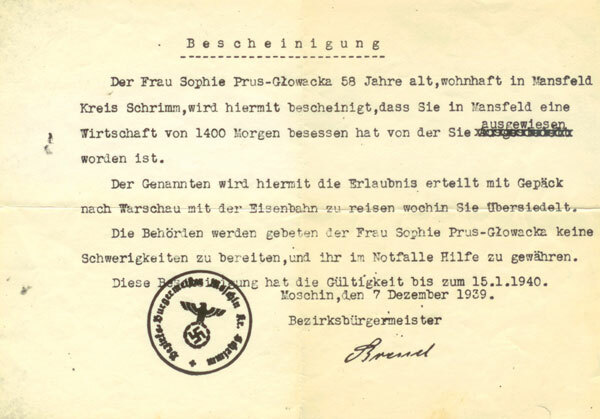 Certification confirming that Zofia Prus-Głowacki was deported from the Manieczki estate. The Polish manor house once again, just like in the 19th century, had to take on numerous responsibilities. Landowners welcomed expropriated landowner families and exposed underground activists to their estates; they brought help to the underground army and supported clandestine education. Fig. 2. Zofia Prus-Głowacki, the owner of the estate in Manieczki. “When the Germans took control over the Poznań Province, their party and police authorities initiated organized terror. In mid-October 1939 in nearly every county the Germans arrested dozens of prominent people—priests, landowners, merchants, social activists, etc. Their arrest did not last for a long time. After a few days the so-called Mord-Kommando would arrive, bring them to a fake trial, during which they would face such absurd charges as ‘crimes against Germanhood,’ and the sentence was death by shooting. My uncle [Edward Potworowski] was arrested on October 19. He and thirty other ‘hostages’ were executed in the market square in Gostyń on October 21, in front of a crowd of Poles had to watch it […] ‘. [Dezydery Chłapowski, Potworowscy. Kronika rodzinna (Potworowskis. A Family Chronicle), 2002]. Fig. 3. 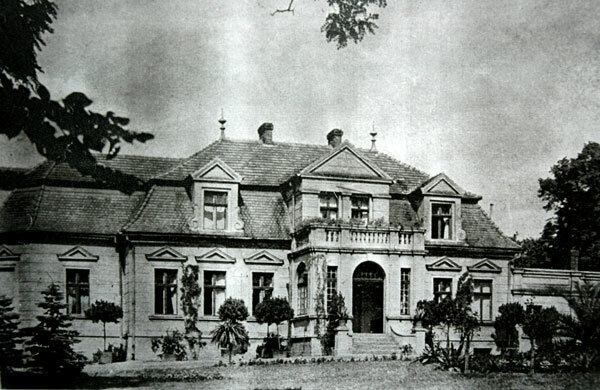 Mansion in Manieczki, photo from Danuta Prus-Głowacki’s collection. Fig. 4. 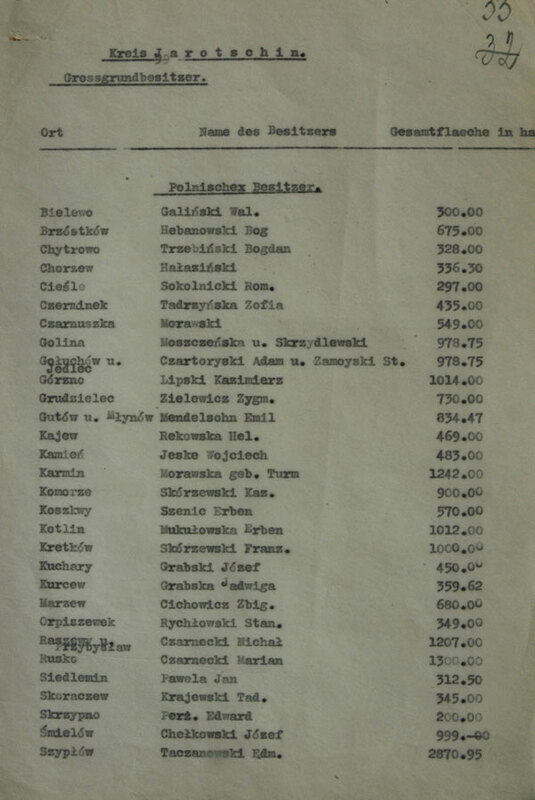 List of Polish landowners from the Jarocin County marked for displacement. Property of the displaced was confiscated by the Reich on the basis of Himmler’s circular of November 10, 1939. Larger land properties (ca. 3,600 farms) were taken over by the Third Reich’s institutions, which were designated for that purpose. The deportees could only take hand luggage with them, the contents of which included: warm clothes, blankets or duvets, kitchen utensils for eating and drinking, provisions for a few days, and documents. The weight limit was 12.5 kg per person, half of that in the case of children. The remaining clothes and underwear as well as tools used in practicing one’s profession were to be left behind. It was forbidden to take jewellery (excluding wedding rings), works of art, securities, and other items of value. Fig. 5. 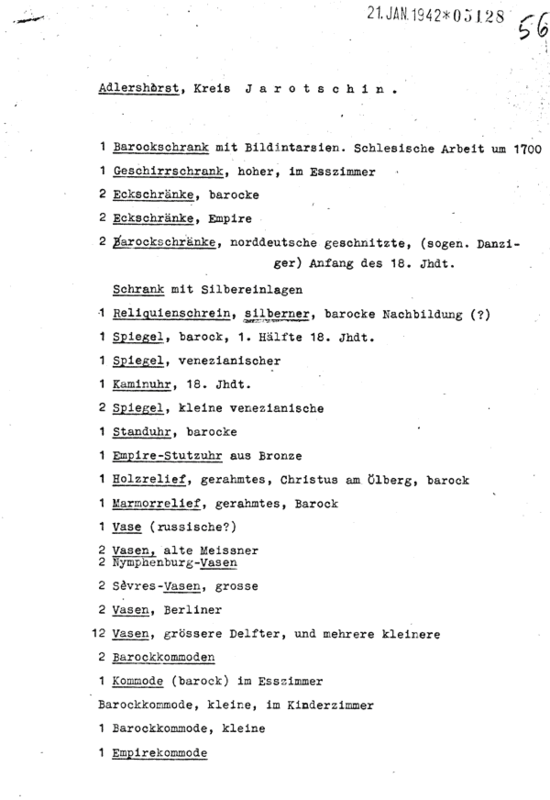 German list of cultural property in the Czarneckis’ palace in Rusko, January 21, 1942.